Here’s useful way for those users who stays mostly keep in touched with the iOS Mail app such as Business users, Marketing peoples, and mail to mail communication office workers. Apple’s Mail app has diverse features like Setup VIP contact Notification, flag /unflag mail as per important of mail and premium one is to move mail from trash to inbox on iPhone easily. Unexpectedly, sometimes an important email has been deleted by the user. in reality, a deleted Mail is to be important for his/her. 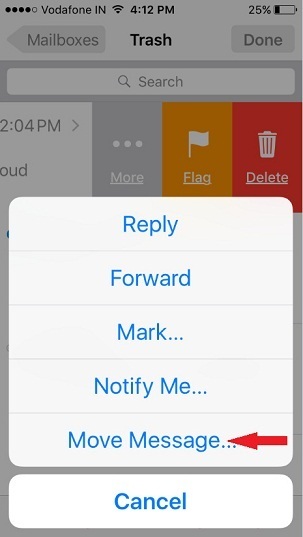 So inherently, looking for a way to recover that mail message again in Mail app inbox. Though, if your essential mail accidentally deleted from the inbox and now you want to bring back then must follow underneath steps carefully. We promise given instructions would help you easily. 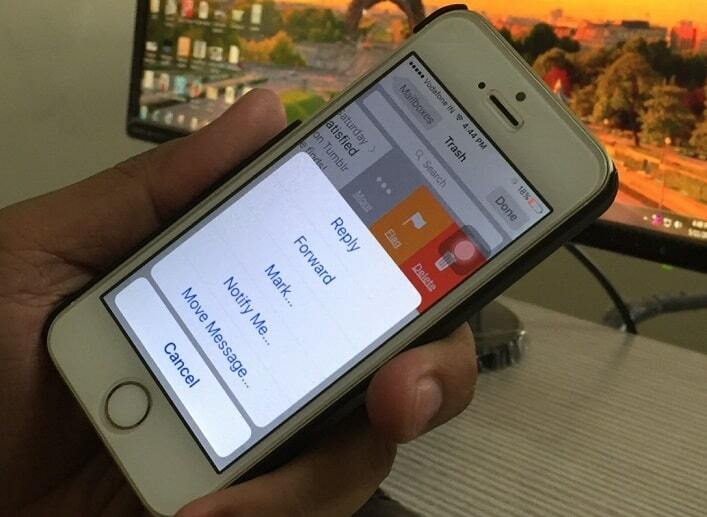 iOS 9, iCloud Mail app is a great alternative of the Google Gmail app. Listed all steps have been performed on my iPhone SE and then that published for you. Mail App → open inbox → choose a Mail that you wanted to delete. → Tap on Trash icon → Tap on Trash Message. Step 1. First launch Mail app on your iPhone. Step 2. 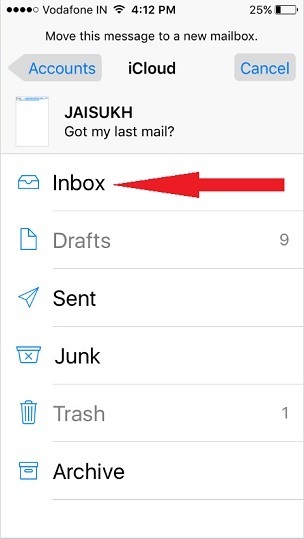 Tap on Trash to recover delete Mail from inbox. Step 3. Tap and hold on an important Mail then slide that at left side. You can see in given screen. Step 5. Now tap on inbox. therefore, a message would be move from trash to the inbox. 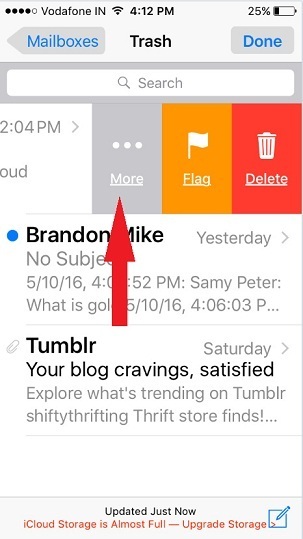 If your device stuck and can’t move email from trash to inbox then force quit mail app and then try again. Hope, this would be helped. If an issue persists then please restart your iPhone or iPad, and check out again. Please share your sound in the below comment box and tell how useful the way of iPhone mail app. Previous iOS 9 Won’t Sync Music with iTunes, How to Fix it?